Compact table-top large wire bonder SHB-150H is ideal for laboratory, prototyping and small scale production of power modules and devices with large diameter aluminum wire, copper wire and flat ribbon wire. The servo motor driven Y and Z axes enable single or multiple bonds to be executed. 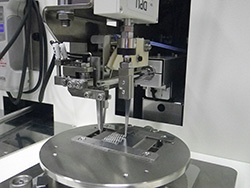 Digital controlled ultrasonic generator and unique bond force control can secure consistent wire bonding. The system apply touch screen for all parameters setting and buttons on front panel that expedite the bonding operation. Independent electromagnetic lockable work-stage in X and Y axis can let operator simply position the bonding point with 4:1 manipulation lever. 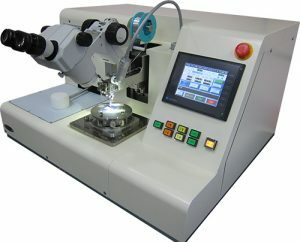 Optional pull test unit can simply be attached on the bonding head, enable wire pull testing.